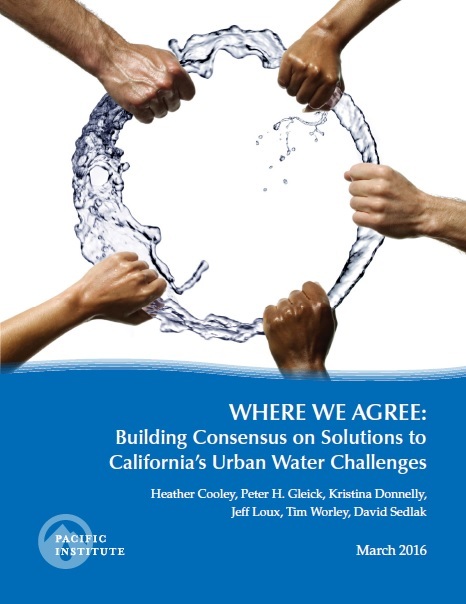 Where We Agree: Building Consensus on Solutions to California’s Urban Water Challenges – This report documents practical solutions for California’s urban water challenges put forth by a diverse group of stakeholders. The results are a set of recommendations for policymakers, municipal water managers, businesses, and community groups with the potential for broad support. 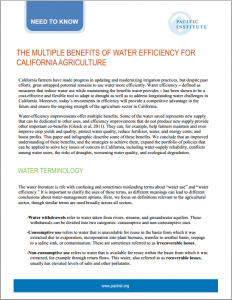 The Multiple Benefits of Water Efficiency for California Agriculture– Water-efficiency strategies provide important benefits to farmers, ecosystems, and society. The most compelling reasons for farmers to seek reductions in total water withdrawals include maintaining and even improving crop yields and quality; protecting water quality; reducing fertilizer, water, and energy costs; and boosting profits. 2014 Drought Briefs: The nrdc-capstone Untapped Potential of California’s Water Supply: Agriculture, Urban, Stormwater, and Water Reuse – California could be saving up to 14 million acre-feet of untapped water – providing more than the amount of water used in all of California’s cities in one year – with an aggressive statewide effort to use water-saving practices, reuse water, and capture lost stormwater. 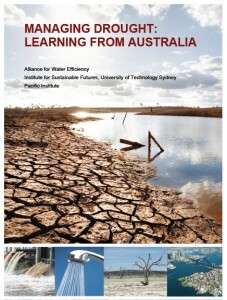 Find the reports, infographic, and factsheets here. 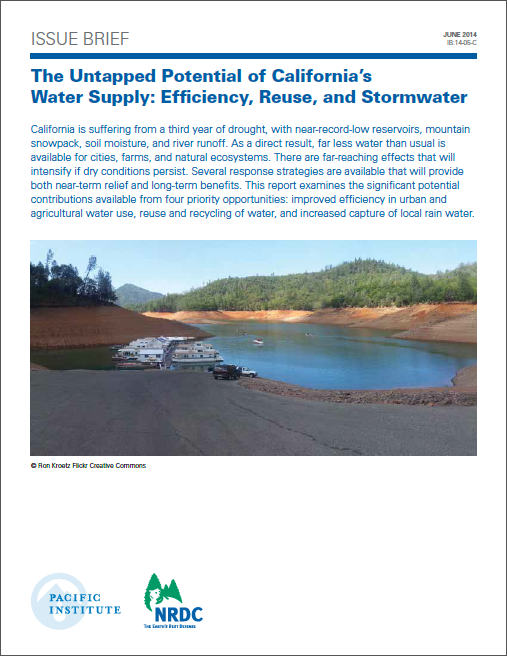 – January 18, 2017: Letter from Pacific Institute President Peter Gleick, Pacific Institute Water Program Director Heather Cooley, and others to California Governor Jerry Brown urging further water conservation and efficiency measures. – December 19, 2016: Comments from Pacific Institute Water Program Director Heather Cooley, Sara Aminzadeh of the California Coastkeeper Alliance, Cynthia Koehler of WaterNow Alliance, Laurel Firestone of the Community Water Center, Jonathan Parfrey of Climate Resolve, and Conner Everts of the Environmental Justice Coalition for Water, and Tracy Quinn of the Natural Resources Defense Council on Implementing Executive Order B-37-16, Public Review Draft Comment. – October 2016: Comments on Water Waste Prohibitions from Pacific Institute Water Program Director Heather Cooley and others to the State Water Resources Control Board. – May 16, 2016: Letter from Pacific Institute Water Program Director Heather Cooley, Sara Aminzadeh of the California Coastkeeper Alliance, and Tracy Quinn of the Natural Resources Defense Council addressing the proposed modification and extension of emergency regulation for statewide urban water conservation to the California State Water Resources Control Board. 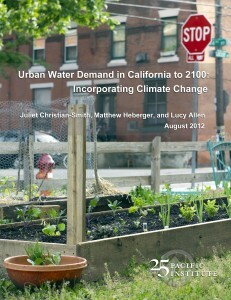 – Jan. 28, 2016: Second letter from Pacific Institute Water Program Director Heather Cooley, Sara Aminzadeh of the California Coastkeeper Alliance, and Tracy Quinn of the Natural Resources Defense Council addressing the proposed regulatory framework for extended emergency regulation for urban water conservation to the California State Water Resources Control Board. – Jan. 6, 2016: Letter from Pacific Institute Water Program Director Heather Cooley, Sara Aminzadeh of the California Coastkeeper Alliance, and Tracy Quinn of the Natural Resources Defense Council addressing the proposed regulatory framework for extended emergency regulation for urban water conservation to the California State Water Resources Control Board. 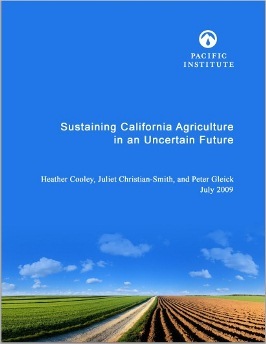 – Oct. 14, 2015: Letter from Pacific Institute Water Program Director Heather Cooley, Sara Aminzadeh of the California Coastkeeper Alliance, and Edward R. Osann of the Natural Resources Defense Council providing comments on the Conservation Regulations Workshop to the California State Water Resources Control Board. 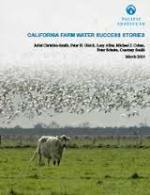 – Feb. 26, 2014: Pacific Institute President Peter Gleick’s testimony addressing the California drought to the California State Water Resources Control Board. River-Friendly Landscaping Calculator is an online app to help people estimate the benefits of choosing “river-friendly” plants and practices. The app features database of nearly 2,000 plants, complete with pictures and water requirements, to help people to garden and landscape in beautiful and more eco-friendly ways. WeCalc is a free home water-energy-climate calculator which helps users save energy, reduce greenhouse gas emissions, and save money in the process. Interactive Map of California’s Residential and System Water Use – This web app from the Pacific Institute shows how different California cities are responding to the ongoing drought. This web feature brings to life newly-released data on residential and system-wide water use, and allows users to explore trends and patterns in water use. Find the interactive table and map here.